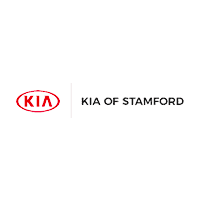 We are the place to go for Kia car parts in Stamford, CT! Our Kia Auto Parts Center is located at 263 Selleck St. At our dealership we are always changing our auto parts specials to meet the needs of drivers in Stamford and beyond. Make sure to contact us for the latest specials in case we don’t have them online. You may also browse our Kia parts offerings at our online parts store! When you bring your vehicle to our Kia car repair center we will only use genuine Kia auto parts to fix your vehicle. We do this because OEM auto parts are built to last and fit your vehicle like a puzzle piece. Please use the parts form to the left to get your parts order started today. When you submit your parts request to us we will be in contact to confirm you have indeed ordered the correct Kia part for your vehicle. If you would prefer to call us the number to our auto parts department is (888) 641-8809.